PIRANHA RECORDS new release "ADDIS 1988"
OUT ON FRIDAY 24TH OF MARCH 2017! 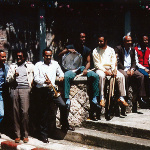 Addis 1988 is the document of a moment in time when Mulatu Astatke was not yet the global Ethiojazz superstar he is today, but a change was gonna come for him, and for the whole world. Fuelled by Mulatu as artistic director, composer, arranger and collaborating musician, Ethio Stars and Tukul Band's Addis 1988 recordings vibrantly sustain the innocence of these musical originators, yet hold up to modern standards with timeless aplomb. 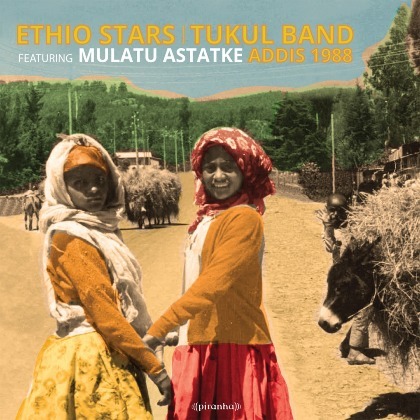 First released in 1992, available for CD only and out of print for many years, Addis 1988 is now remastered, and available as limited edition on vinyl for the first time, a stunning 180 grams for audiophiles and aficionados. "The release captures the moment superbly, a time when censorship and curfews curbed full musical freedoms. Two very different outcomes, both beautiful!" 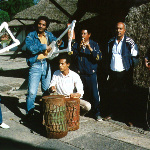 Read more about "Addis 1988"